Summer in Maine is hard to beat; come adventure with us to see why. 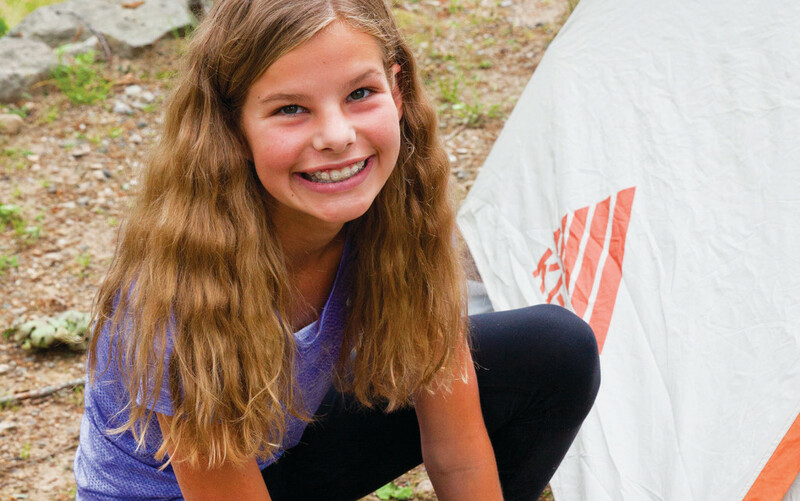 Our week long Maine Coast Junior offers 11- and 12-year-olds a terrific set of adventures in Maine’s famously beautiful outdoors. From our trip start just outside of Boston, you’ll head north and spend a day on the water sea kayaking the protected shores of Maine’s Casco Bay before transferring to stunning Acadia National Park. Here you’ll spend much of your week together exploring Acadia’s many footpaths and biking its famed Carriage Roads. You’ll bring the week to a close by enjoying a celebratory dinner in Portland’s Old Port. The week will fly by and have you excited to plan your next great outdoor adventure. After meeting in Boston, we’ll head straight for the coast of Maine where we’ll breathe in the salty sea air, play games, and get acquainted with each other. 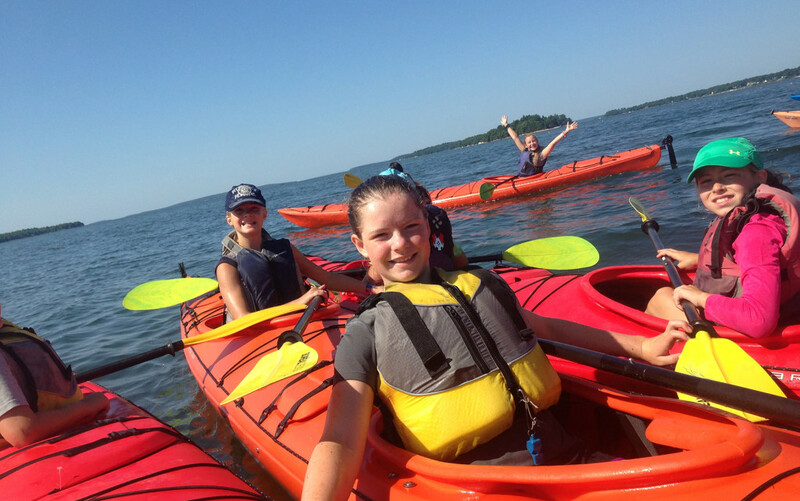 The next morning, we’ll get our first taste of adventure in the beautiful Casco Bay, where we’ll learn the fundamentals of sea kayaking from our professional guides. We’ll hone our skills along the quiet, island-dotted coast and keep our eyes open for bald eagles and seals. Back at camp, we’ll play cards or toss a Frisbee and cook and eat together around a campfire – and you can’t forget about the s’mores, of course. With our first adventure behind us, we’ll set out for Acadia National Park and Mount Desert Island to make camp and start exploring. With camp set up, the park is ours to explore, and it won’t take us long to realize why Acadia is one of the most popular National Parks in the country. 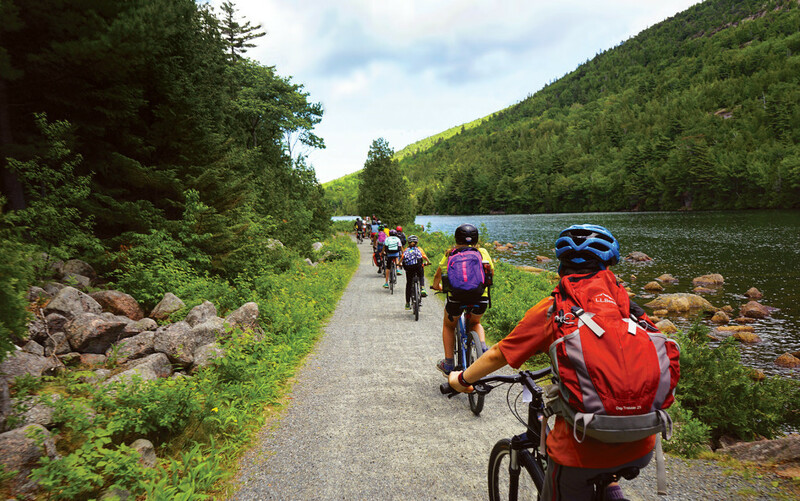 Acadia’s friendly trails and famous carriage roads make for a perfect introduction to both hiking and biking. From Cadillac Mountain to Sand Beach, we’ll experience everything this pristine national treasure has to offer over the course of four great days. After one last hike, we’ll wave a fond farewell to the Park and head south, returning to our home in mid-coast Maine. Here, we’ll spend a fulfilling morning volunteering on one of many local community service projects, whether we’re getting our hands dirty at an organic community garden, maintaining and repairing a local trail system, or sorting food with a hunger prevention program in town. Finally, we’ll close out our wonderful week together with a celebratory dinner in a coastal town. How physically challenging is MCJ? MCJ is the shortest and least physically-challenging trip we offer, and we believe it is a great “sampler” trip for young students interested in hiking, biking, camping, and outdoor activity. Given a rating of Challenge Level 2 (out of a maximum of 10), we consider MCJ to be a perfect trip for beginners that any moderately fit, motivated student can successfully complete. Please note that all of Apogee’s Challenge Levels are not scientific and are subjectively calculated by the Apogee staff. Where will my child sleep each night? The group will be camping every night in established, front country campsites over the course of the trip. Leaders will separate students by gender into tent groups, and will rotate those groups several times over the course of the trip. Students will share a tent with one or two other students. Does my child need to bring his or her own bike for this trip? No, a bike rental is included in the tuition for this trip. We will provide a well-maintained, fitted bike for your child. Your child must bring their own helmet, however. How much weight will my child carry on the hiking portions of this trip? Not a lot. As there is no overnight backpacking on this trip, your child will be carrying between five and ten pounds during their longer hikes, composed mostly of an extra layer of clothes, rain gear, water, and snacks. The specifics of our community service projects and the number of hours we volunteer varies slightly from year-to-year. In the past, we have worked with a local land trust or community garden in Brunswick, ME on a variety of tasks including trail maintenance, beautification, and gardening. Students can expect 3-5 hours of community service work, usually over the course of one day. How often will my child call home on this trip? You can expect to receive a phone call from your child once during their MCJ trip, usually around the halfway point. My child will be flying to this trip start. How will they connect with their leaders? Please note that Apogee staff members do not travel with students; our trip leaders will already be in Boston on arrival day and will stay at our headquarters in Maine after the trip ends. Apogee staff and trip leaders will have a detailed flight itinerary for each student who is flying to the trip start and will be at the airport to greet them on arrival. Once students are with their leaders, they will call home to let their parents know they have arrived and are with their group. Please see our blog post for specifics regarding students traveling as Unaccompanied Minors. Further, we encourage you to coordinate travel with other attendees; we’re happy to put you in touch with other enrolled families from your region. We will provide enrolled families with a Travel Information document covering details specific to traveling to and from Boston, including airport information and arrival and departure time windows. Please contact Apogee with any specific questions or concerns regarding drop-offs and/or pick-ups. Apogee’s tuition costs are meant to be all-inclusive and include all meal, accommodation, and activity fees. The most significant additional expenses on our Maine Coast Junior trip will include travel to and from the Boston area, a sleeping bag and sleeping pad, sturdy shoes, and a bike helmet.